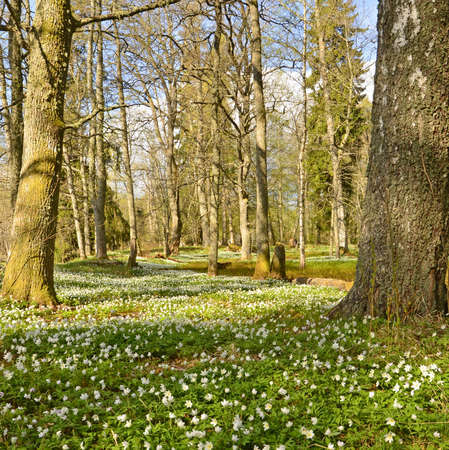 The Spring Forest in Sweden Wall Mural is a peaceful scene of early spring in Sweden. The vibrant green grass is covered with cheerful white anemones. The sun casts shadows on the tall mossy tree trunks. Choose your own size and material.